There are many milestones that we all go through during our careers. Our first job interview, getting promoted, and making the decision to leave a role for greener pastures. But one of the most daunting is approaching your boss and asking for a pay rise. 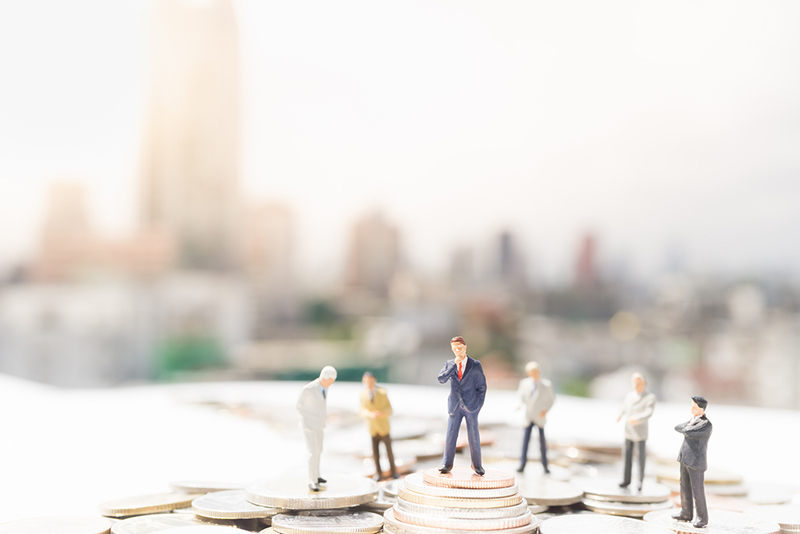 Research conducted by Forward Role Recruitment has revealed that a huge amount of people are wary about asking for a pay rise, with an overwhelming 61% saying that they have never broached the subject. The statistics showed that men were more likely to ask for a pay rise, with 46% saying that they had done so, compared to just 30% of women. If you feel like it’s time to moved up a rung of the career ladder, but don’t know how to start the conversation, then Forward Role are here to help you out. We have spoken to four industry experts who have real-life experience of asking for, accepting and rejecting pay rise requests. Asking for a pay rise is a big deal, and it is certainly not something that should be done on a whim. Don’t just stroll into the office one morning and book a meeting with your manager – there is a time and a place for everything. Consider the circumstances around the meeting, because the surrounding situation can have a big impact on the result of your request. “It’s all about striking when the iron is hot. When you’re asking for a raise, you’re telling your boss that you’re performing at a higher level than what you’re currently being paid. So, you have to make sure you’re asking at a time where you’ve been really knocking it out of the park and exceeding expectations at work and are seen in the best possible light by your employer. Your great performance will be fresh in their minds, making them likelier to give you the pay increase. Part of having a well-thought-out plan for asking for a pay rise involves knowing how much you are going to ask for. This part can be tricky; it’s all about balancing your desire to receive a six-figure paycheque, and asking for a salary that you deserve. Many people are often under the impression that, if their manager grants them a pay rise, they will simply pluck a higher figure out of thin air. But part of the nature of asking for a pay rise is having confidence in your abilities and being able to put a price on yourself. Although it may make you feel awkward, it is more likely that your manager will respect you for knowing your worth. “In my opinion, there’s one thing employees always overlook in salary negotiations: knowing your market value. If you want to convince your employer to raise your salary, it makes sense to know how much your competitors are willing to pay you. After all, if you don’t know what you’re worth, how can you know what to ask for? “Before negotiating a raise, I recommend you speak to your coworkers and your peers in the industry to get an idea of how much they’re paid. Complement that research with salary info from job advertisements posted online. That will give you a solid figure for what the market will pay for someone of your capability and experience. Spend a little time browsing job boards, note down a few salaries that are being advertised for roles that are the same or similar to your own. Calculate an average and consider if you’re happy with it – this will give you an idea of the region you should be aiming for. When it comes to salaries, there is no one-size-fits-all. While everyone may enter a role at the same level, as time progresses you will pick up certain skills and become more proficient in some areas compared to others. Using a tool like Salary Survey is the perfect way to narrow down the field and get a better idea of your deserved salary. This is because you are able to specify things like the number of years’ experience you have under your belt, your annual bonus and any benefits that you receive. It’s all well and good being able to walk into a pay review meeting and talk about the things you have done (more on this later), but what those in charge will want to see is how your excellent work has benefitted the business overall. “It’s always easy to give a pay rise when an employee can tie their achievements back to real commercial value for the company. For example ‘I created a social media strategy that has driven £125,000 of new sales’ or ‘I reduced the need to outsource our human resources services, which has saved us £36,000 a year. “If an employee can come to a pay review with a list of their achievements against expectations you set at a previous review, then it makes it much easier to sign off. For example, ‘you wanted me to improve my leadership skills, and I’ve taken a course, read the three suggested books and taken responsibility for the development of a junior staff member’. This tip speaks for itself. But rather than walking into a room and reeling off a long list of your accomplishments, you need to relate it back to your actual job and the company. You also shouldn’t be afraid to shout about the things that you have achieved, because otherwise what’s the point in having the meeting anyway? This isn’t the time to be modest! Now comes the meeting itself, where all of your hard work and preparation is put to the test in what will seem like the most challenging part of the entire process. You will likely be feeling nervous and anxious and naturally may find yourself going from cool and confident to shy and modest in a flash. But there’s a delicate balance to strike with the way you present yourself; you want to be calm and relaxed, but not closed in, whilst also showing you are sure of your achievements but not cocky. It can be tricky to get right! When we are in any situation, other people won’t just be picking up on what we say. We actually given out dozens of other different signals through our body language, the tone and pitch of our voice and our facial expressions. Even our emotions can be easily picked up on, and your boss doesn’t need to be an expert to recognise these subconscious signals. What you want to avoid most is appearing too nervous or tentative, defensive or angry. Speak slowly and steadily, and maintain relaxed eye contact with the other person, without staring them down. Keep your voice strong yet reasonable and you will come across both confident and convincing. Congratulations! You’ve impressed your boss and next month you’ll receive the higher salary that you deserve. But now certainly isn’t the time to rest on your laurels. Show the senior management team at your company that you appreciate their faith in you, and that you are dedicated to achieving bigger and better things for the business and their customers. Once you’ve finally worked up the confidence to speak to your boss and established exactly what you were going to say, it can feel a little embarrassing and frustrating if you receive a rejection. But the way you handle it will say a lot about your character, and your manager will be looking out for your reaction. The first step is to accept their decision straight away; arguing back isn’t going to change anything. However difficult it may be, keep your emotions in check and try not to let your facial expressions or body language portray any feelings of anger, disappointment or upset. Secondly, tell them you understand and then proceed to ask for the reasons behind their decision. This could range from issues with your performance to financial problems within the company itself. If it is the former, show your commitment and enthusiasm to improving by asking for an opportunity to make a plan – with input from your seniors – on what you need to achieve in order to get that all important ‘yes’ next time. Steve Thompson is the Managing Director of Recruitment specialist Forward Role Recruitment. ← What makes a great brainstorming session?